It is Tag Time! In this post, you will get a little insight into how crazy I would be if I were The Ruler of Books. I’ve seen this tag done by many of my favourite YouTubers, and I wanted to have a go. Luckily I happened to stumble across Caroline’s blog – Just Another Bookish Blog – and found the questions (and this cute graphic) to make this post possible. 1. What book would I make everyone read? In an ideal world, everyone would have to read – and study – The Book Theif by Makus Zuzac. This is one of my all time favourite books. I fell in love with this book from the very first page and it surprisingly wasn’t because of the writing, but the way the story is constructed. Zuzac sets the mood by illistrating each chapter with a colour, this I found made the story more interactive and added more emotion to the story. 2. What would I abolish from book construction? Give me a second to put my special book-building hat on… That’s better! I would abolish different heights for books in the same series, usually for paperbacks. How am I suppose to know if I am buying a book online that is the same height as the fist book I own at home?! It’s a very conflicting process. 3. What author would I commission to write every book ever? Damn, do I really have to chose?? I’ve recently read The Bone Season by Samantha Shannon and I fell IN LOVE with her writing. But you see I also would give my soul to David Levithan… It’s a little bit hard… But also Patrick NESS!!!! 4. What book would I demote to the Library Basement to make room for new books? Another Day by David Levithan. You’re probably thinking “Bree how could you banish David Levithan’s books to the Library Basement?! He’s your favourite author!” Yes that’s true and I do somethings shock my self with these things but hear me out. Where I did want to hear the story of Everyday told from Rebe… Point of view, I also don’t think that Another Day was really necessary. 5. What cover artist would I commission to paint a beautiful mural? Where I have always appreciated the cover art on books, and many times only bought a book based on its cover; I’ve never really taken the time to look at who is behind the beautiful cover art that is seen on books. To commission me a beautiful mural, I would have to chose the awesome person who designed the cover art for the Magnus Chase novels. A man/woman who goes by the name John Rocco designed the US covers for these books and just WOW! Let us pause to bask in the beauty that is Magnus Chase. 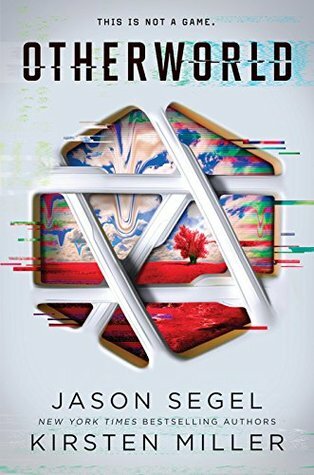 Cover artist do not get enough recognition for their hard work, seeing as it all goes toward the author for the content of the book, but in reality, we are all guilty of judging books by their covers and even choosing a specific edition because of the change in cover. Next time I review a book I will be sure to also credit the cover artist alongside the author, because without them, the book would be nothing but a slab of unattractive words. 6. What characters face would I have embossed in a coin? I think we all know the most common (and obvious) answer would be to say Harry Potter, but I do not agree with that. I really believe that Jace William Herondale should have his face embossed into a coin for all eternity! Mostly because his ego will be huge and it will be funny, but can you imagnine everytime Magnus was to go shopping and had to see Jace’s face everyday even long after the he had died, his face will still be there to haunt him. Mwahahahahah! I kinda feel like that would be the kind of prank Ragnor would play to annoy Magnus tbh. 6. What book would I grant the Ruler of Books award for 2016 and 2017 to? 2016 – Initiate by Laura. L. Fox. Considering it is only one of two new releases I have read this year, I really believe this book – that came out November 15 – should be granted The Ruler Of Books Award. 2017 – Lord Of Shadows by Cassandra Clare is a no brainer. You can see why I love this book so much in my non- spoilery review/ rant by clicking on the link here or typing it into the search bar on my blogs home page.